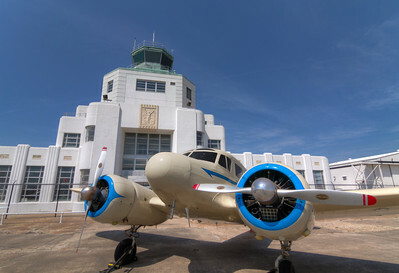 The museum is housed in Houston's original art-deco air terminal at William P. Hobby Airport. 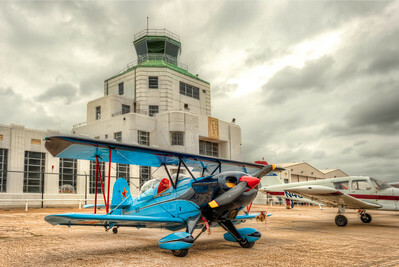 and showcases both civil aviation and Houston's aviation history. The Double-Take In the distance, I saw a small single engine plane and behind it a biplane coming toward us. The biplane looked looked to be about fifty yards behind the first. Imagine my surprise as they flew closer to see that they were actually side by side. 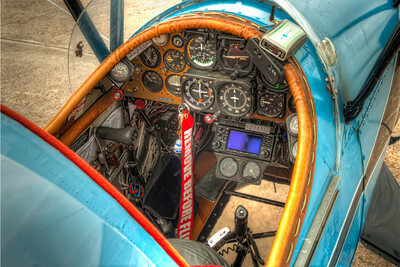 The Ginn DSA-1 Interior Little airplanes have little interiors. This means that you only have the basics for interments and extra features. This little Ginn DSA-1 biplane fits everything nicely, including a clear plexiglass bottom to provide an extra view along the way. They say everything in Texas is bigger, but not for this little airplane. This 1967 Ginn DSA-1 is tiny, but packs a lot of plane in its small package. The Huey Air support has played a major role in all recent wars, especially in Vietnam. 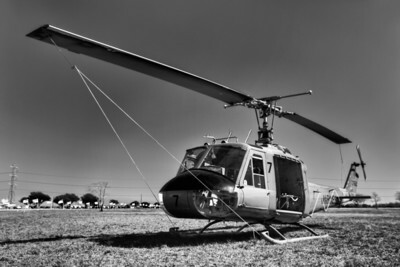 The UH-1E Huey was the first turbine-powered helicopter to enter production for the United States military, and more than 16,000 have been produced worldwide. The first combat operation of the UH-1 was in the U.S. Army during the Vietnam War, with approximately 7,000 UH-1 aircraft used for that war. I thought it proper to process it in black and white, due to the era when it served our country saw little color film. Speedy Birds Both of these little guys look like they would be fun to fly and I'm guessing have a lot of punch for their size. 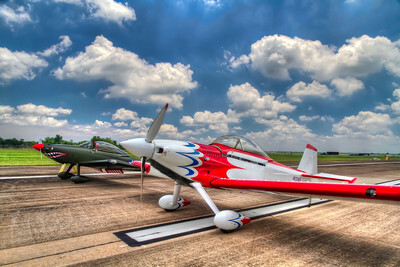 Many of the planes that attended the Aeros and Autos at Ellington Field are local, so maybe I'll have an opportunity to visit with the pilots at a future event. 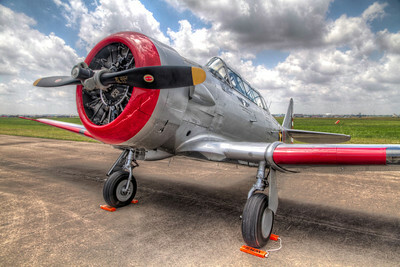 North American AT-6 Texan The AT-6 Texan was a popular plane for most pilots during World War 2, since pilots trained in the Texan before moving on to other aircraft. Rudolph, with Attitude DECEMBER 21, 2012 LEAVE A COMMENT (EDIT) Flying high up in the sky, free as a bird and out in front of everyone else, but with a big red nose. 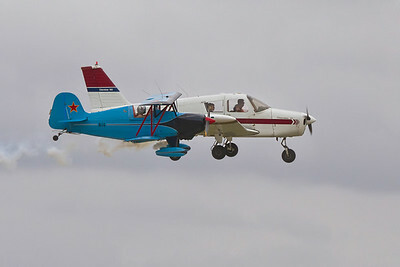 You might think it’s Rudolph, the Red Nose Reindeer, but not if you’re flying these little airplanes around. They may not be large, but they are plenty fast. Many airplanes have displayed the teeth on the front, most noticeably the shark teeth on the Flying Tigers from World War II. 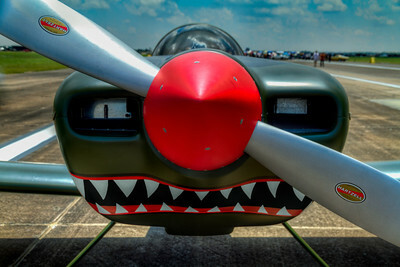 Let’s face it, any sharp teeth on the nose of an airplane is going to make it meaner and faster. I would not want it chasing me in a dog fight. 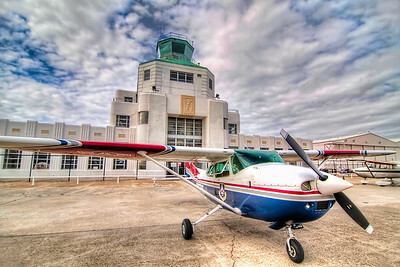 The Bamboo Bomber Cessna built the first examples of the "Bamboo Bomber" Cessna UC78 (T-50) Bobcat before WWII as a business-feeder airline aircraft. 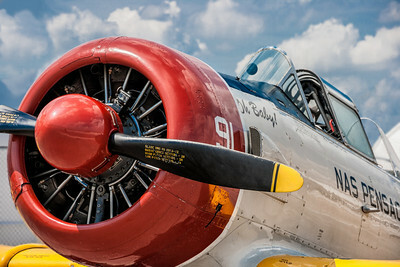 During the war, many were produced as a multi-engine trainer for future bomber pilots. The airplane was nicknamed “Bamboo Bomber” because of its one piece, 42’ wooden wing. After WWII hundreds of examples were sold for surplus to civilian owners. It sports retractable landing gear and a spacious, five-person cabin. But since it is small, many were not parked in hangers and the elements have reduced their numbers, with only a few still airworthy. Oh Baby is Back DECEMBER 5, 2012 1 COMMENT A while back I gave you a taste of this T-6 Texan, but I thought you deserved to see the entire plane. It’s just that nice. Like a card player doesn’t show his entire hand all at once, I only showed you a piece of it last time. 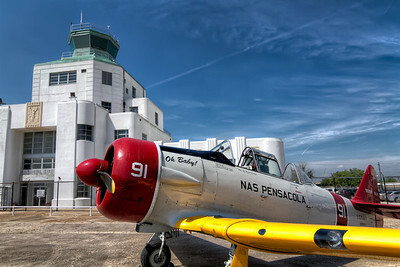 Once a month at the 1940 Air Terminal Museum, they have a fly-in, so you never know exactly who will show up. Since it faces east, it gets the morning light, which sets it apart nicely from the early sky. Air support has played a major role in all recent wars, especially in Vietnam. The UH-1E Huey was the first turbine-powered helicopter to enter production for the United States military, and more than 16,000 have been produced worldwide. The first combat operation of the UH-1 was in the U.S. Army during the Vietnam War, with approximately 7,000 UH-1 aircraft used for that war. I thought it proper to process it in black and white, due to the era when it served our country saw little color film.